Your pet is a special part of your family. The experienced team at White Oak Animal Hospital in Fredericksburg, Va., is ready to offer your pet the highest quality patient care with full consideration of your physical, emotional and financial capabilities. Whether your pet is in need of a wellness exam or has a health issue that needs to be diagnosed and treated, you can be certain your pet will receive the attention he or she deserves at White Oak Animal Hospital's state-of-the-art medical facility. Should your pet require surgical care, the expertise of the White Oak’s doctors is enhanced by advanced diagnostic-imaging technology, in-house medical testing, a modern surgical suite and a wide range of veterinary specialty resources. The veterinarians and medical team at the Fredericksburg office strive to ensure that your pet receives care that is at the cutting edge of the veterinary profession. 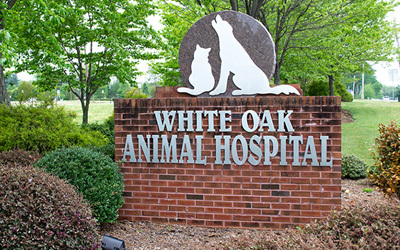 First opening its doors in 1996, White Oak Animal Hospital is owned by Dr. Stacy Horner-Dunn and Dr. Gary Dunn. 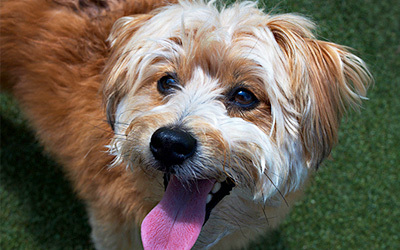 Over time, we've grown to include dog training, pet grooming, pet boarding and chiropractic services. Many employees have been with White Oak Animal Hospital for over five years, and some have been with us since we opened. Since the beginning of the hospital, we have assisted and supported local pet organizations including the Stafford County Animal Shelter, where we help sponsor select adoptees. We offer discounted medical care for the Stafford SPCA and Fredericksburg SPCA, as well as the Stafford Sherriff's Department. As we move into the future, we will strive to continue to meet your pet-care needs by offering the most up-to-date health care recommendations and services. Please browse the website, read through the veterinary services we offer and see why we believe they are important to your pet’s well-being. To learn more about the hardworking team who serves you and your pet, please look over the veterinarians and staff bios. If you have any questions or would like to schedule an appointment, please give us a call at 540-374-0462 today. Monday, Wednesday, Friday: 7 a.m. – 6:30 p.m.
Tuesday, Thursday: 7 a.m. – 8 p.m.
We accept cash, check, CareCredit, VISA, MasterCard, Discover and American Express. Payment is due upon completion of services.